Canadian diplomats abroad seek to shape coverage of their work. And the more nefarious their actions the harder they toil to “spin” what they’re doing as something positive. “My first trip to Venezuela in 2004, I was producing the big debate show on Canadian TV called Counterspin on CBC Newsworld. … I was a known quantity in Canada. And so when I was in Venezuela, I said I’ll go say hello to the Canadian embassy. I was trying to figure out what was going on in Venezuela. I figured some Counselor would pat me on the head and say welcome to Venezuela. 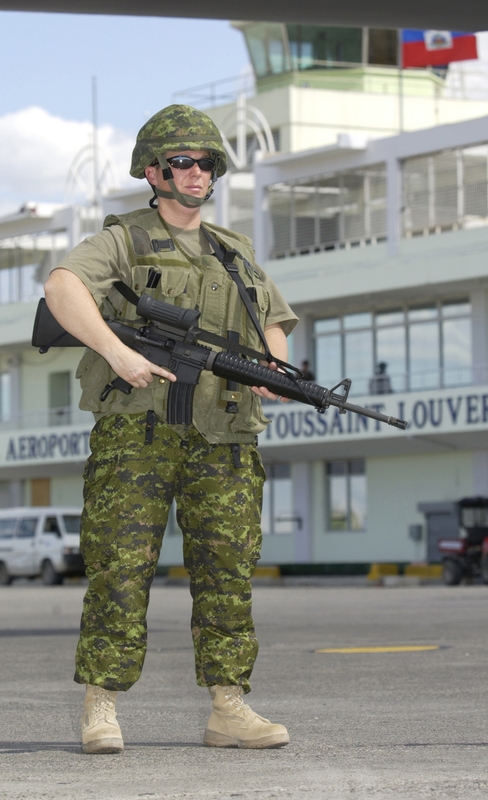 Today is the 15th anniversary of the Canadian-led coup in Haiti. Given only two days to prepare for her assignment, Montgomery was ripe for official manipulation. Though she later realized the ambassador’s claim was ridiculous, Montgomery told other journalists at Hotel Montana (where most international journalists stay in Port-au-Prince) that Aristide’s supporters were targeting them. Almost all Canadian correspondents develop ties to diplomats in the field. Long-time Globe and Mail development reporter John Stackhouse acknowledges “Canadian political officers” in Indonesia for their “valuable insights” into the country during General Suharto’s rule. In Out of Poverty, Stackhouse also thanks “the Canadian diplomatic missions in Accra, Abidjan and Bamako [for their] … invaluable service in arranging interviews and field trips.” During a period in the mid-2000s when she wrote for the Globe and Mail and CBC, Madeleine Drohan conducted media workshops in Zambia, Tanzania, Kenya and elsewhere sponsored by the Canadian embassy, High Commission and Foreign Affairs (she taught journalist ethics!). Jay described his experience at the Embassy in Caracas mostly to highlight Canada’s long-standing hostility to the Hugo Chavez/Nicolas Maduro governments. But, his story also helps make sense of the dominant media’s alignment with Ottawa’s push for regime change in Venezuela today. Globe and Mail Latin America correspondent Stephanie Nolen, for instance, promotes Canada’s last ambassador to Venezuela. Describing Ben Rowswell as “widely respected by Venezuelans while he was there”, Nolen recently retweeted Rowswell claiming: “the coup happened in July 2017 when Maduro suspended the constitution. The question now is how to fill the void – by backing the president who uses force to remain in power after his term expires, or the leader of Venezuela’s last remaining democratically elected body?” Rowswell has been quoted in at least a half dozen Globe and Mail articles about Venezuela in recent weeks. Diplomats’ influence over international correspondents is one way the foreign policy establishment shapes discussion of Canadian foreign policy. Most of the world’s countries, with most of the world’s population, have failed to support the US/Canada push torecognize National Assembly head Juan Guaidóas president of Venezuela.